Katherine Blamire was roaming around rural Yorkshire with fellow members of the band Smoke Fairies when I called her, enjoying a day off from a UK tour supporting Public Service Broadcasting. To add to 13 shared dates, the band headlined at Hebden Bridge Trades Club the previous night and had some spare time before resuming the main tour in Sheffield. But first they were seeking out revered American poet and novelist Sylvia Plath’s grave in nearby Heptonstall, after a triumphant Trades Club return. Two days later, I was lucky enough to catch their support role in Manchester at a packed show at The Ritz, just one of many highlights for the band in a schedule that went right through to London’s Roundhouse on May 7th, also a sell-out. But when we first spoke, they were savouring a day without sound-checks. “We’re trying to make the most of it. It’s an amazing day, so we thought we should go for a walk. 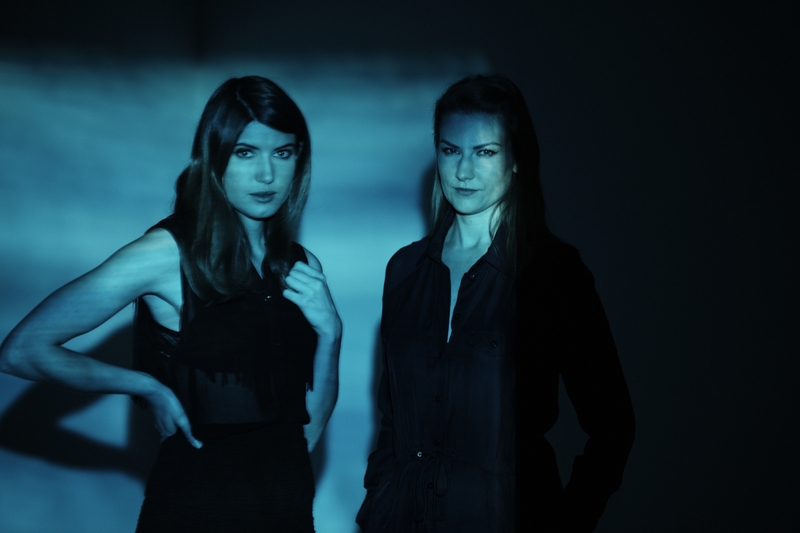 While based between tours in the capital, the girls at the heart of Smoke Fairies – Katherine and fellow guitarist/vocalist Jessica Davies – are from Chichester, West Sussex, having met at school in the late ‘90s. They’ve put in a fair few air miles since, including early stints in Nashville, New Orleans and Vancouver. 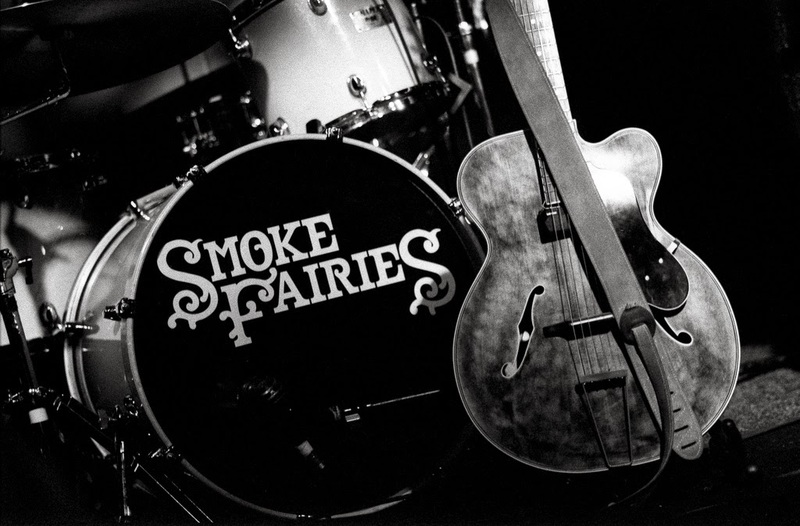 I must admit I’ve only recently caught up on the Smoke Fairies catalogue, and it’s a vast one – with five studio albums and a compilation since 2007 and plenty on the CV before then. 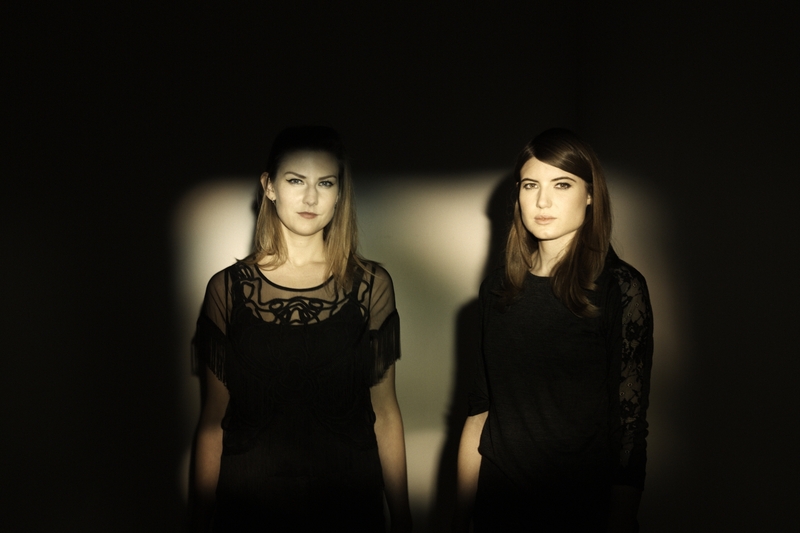 I seem to recall I first heard them through sessions for Marc Riley on BBC 6 Music, and Katherine and Jessica came back to my attention again recently after providing vocals on Public Service Broadcasting’s heart-searing Valentina. 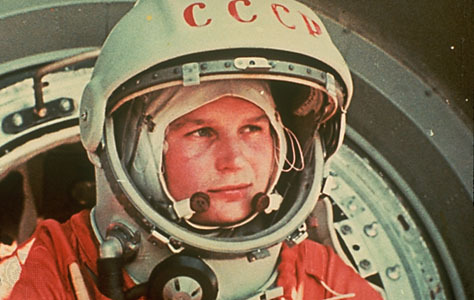 That song, on the South London outfit’s superb second album The Race for Space, celebrated the first woman in space, Valentina Tereshkova, the Russian cosmonaut’s story inspiring PSB mastermind J.Willgoose Esq. to call in the girls for a fresh perspective on the textile factory assembly worker and amateur skydiver turned 1963 Vostok 6 pilot. “There were newsreels, but footage of Valentina speaking was limited and most was contrived or spoken over. The idea was to give her a proper voice, and I guess that’s what we represented. “When you look what was happening at that time, everything was done as a statement of part of the space race. “It was an aggressive time and part of a much bigger, darker situation. But among all that there were these intrepid individuals who strode out and made amazing achievements. 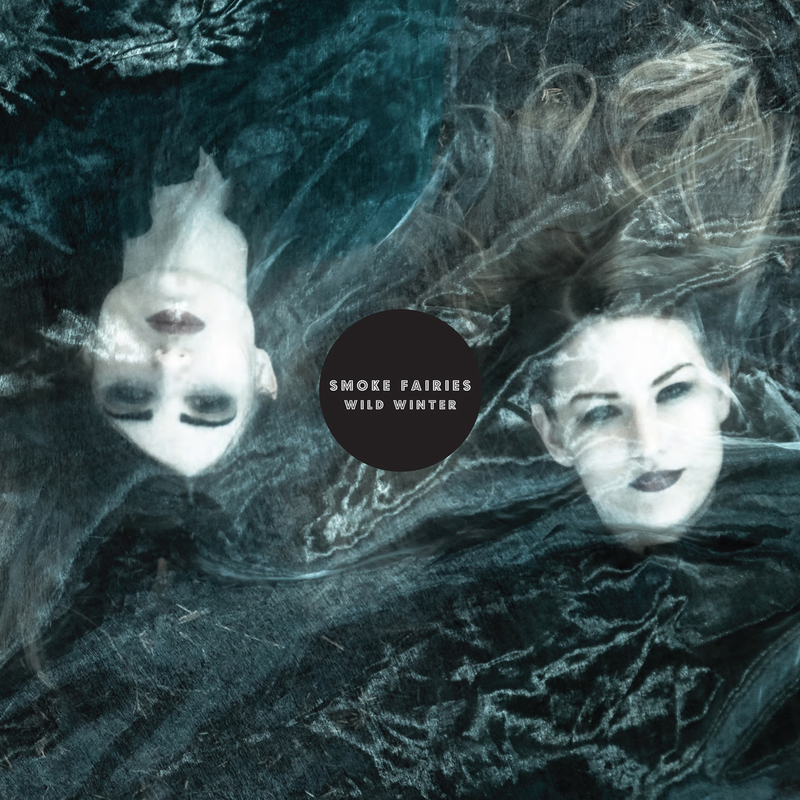 Smoke Fairies seemed an apt choice, not least in light of the girls’ antics – building a mechanical bird, carrying it to the top of a hill and releasing it – in the video to We’ve Seen Birds, the lead track on their 2014 self-titled album. Was that an accurate reflection of their technical aptitude? And have they a penchant for creative DIY that Valentina, now 78, herself might appreciate? “I’d like to think so, but guess I’ll never know! ! It was great to be involved in this project. Our imaginations are continually sparked by ideas of flight and space, and imagery to do with all that comes into our songs a lot. “I feel we’re always looking outwards. We’ve never been able to stop looking to the sky really. “I don’t think we’re particularly scientific, although I do read a lot of books about things like string theory, trying to understand all that. Judging by that video, you certainly look like you know what you’re doing with a saw and a block of wood too. In the meantime though, they can at least indulge in PSB’s nightly trips to the heavens. Was Valentina more or less a finished idea when they were invited on board by Mr Willgoose? 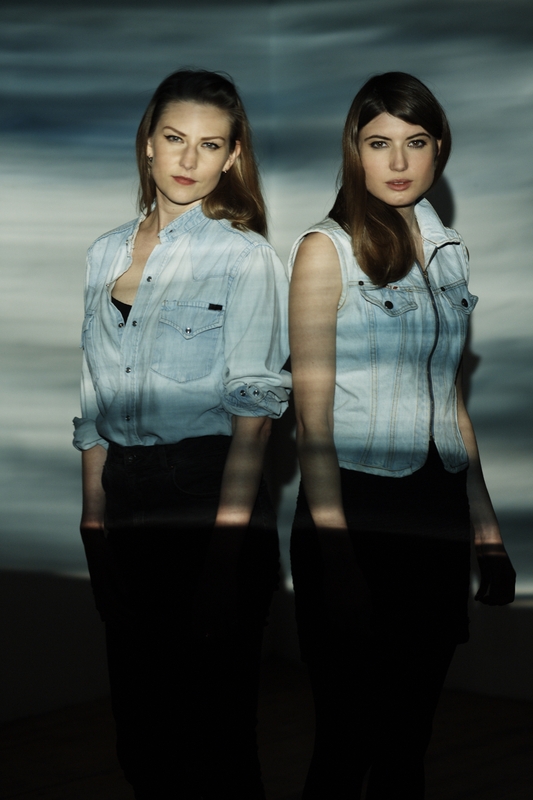 Katherine and Jessica’s near-celestial, sometimes ethereal harmonies are something to savour. Was that all pretty instinctive, or something they‘ve had to work hard on? “To be honest, from the very first moment we started singing together, when we were about 12, I really felt there was something special happening, and we just had to keep going. That tends to happen more with music’s great siblings, from the Everly Brothers through to Neil and Tim Finn, for example. Then again, I suppose these two have been at it a long time. When you’re writing together, does it tend to start with a guitar, or is it just a case of whatever’s to hand? That’s the album I’ve listened to more than any other, and there are definitely a couple of curve balls, dipping between the radio-friendly tracks and the more experimental, with plenty of shining examples of the girls’ wondrous voices and inventive songcraft. “I think it was something of a stepping stone for us. We had to go there but I think we’re ready to come back to something a bit more familiar now. “The record we did after that, a more limited release called Wild Winter, was recorded live and to me that’s where we should be going now. 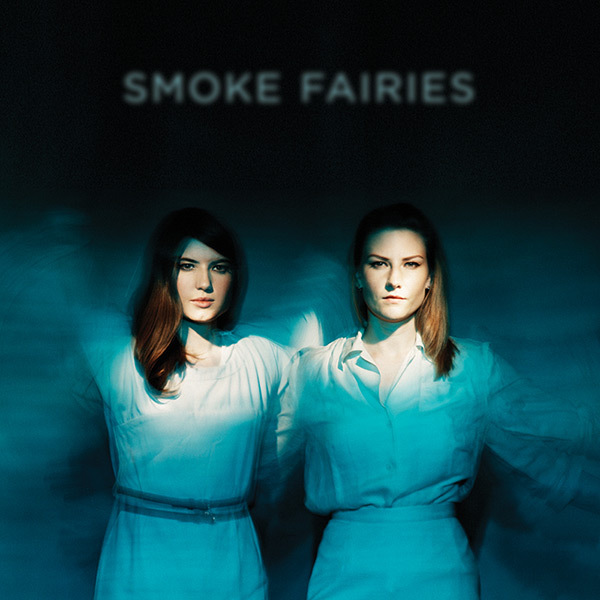 It’s fair to say Smoke Fairies have branched out from their blues and folk roots in recent times, to a more dreamy electro sound and darker trip-hop feel, and even a little, dare I say it, pop. At this point, Katherine was side-tracked though, telling me the rest of the band had found the gravestone they were looking for, my interviewee then describing her new surroundings in detail. I suggested in response that it’s not such a bad life, with all this sightseeing between big nights out. Does touring prove a good source for songwriting? “It’s the thing that keeps us interested and drives us on. When I’m not travelling, that’s when I start worrying about if we’re doing the right thing. “When you’re out and about meeting people touched by what you’re doing, it changes the way you see what you’re doing and spurs you on. Despite that, there have been moments of self-doubt en route, not least when Jessica mooted the idea of a split not long after 2012’s Blood Speaks. Thankfully having decided giving up on the band was not an option, she wrote a musical apology to Katherine, which became Smoke Fairies’ opening track, We’ve Seen Birds. In that past interview, Jessica added: “I just wanted to say sorry to her – sorry I scared her like that. We realised this is our life. One year on, I put all that to Katherine, and a (deep) space-related analogy follows. “Yes, you start thinking you’re a bit deluded and wonder if there’s anyone listening while we’re just sending these signals into space – like when we sent that satellite out there with all the music on it from our planet. What was it about that fourth studio album, earlier last year, that made them think it was finally time to use the eponymous self-title? “To us it felt like it had been a challenge to make and almost like a complete reassessment of the point of continuing. “We felt it was right to try and draw attention to that – as a personal landmark for us. But it wasn’t really a landmark. The questions just continue. You can spot several influences in their sound, subtle as they often are. 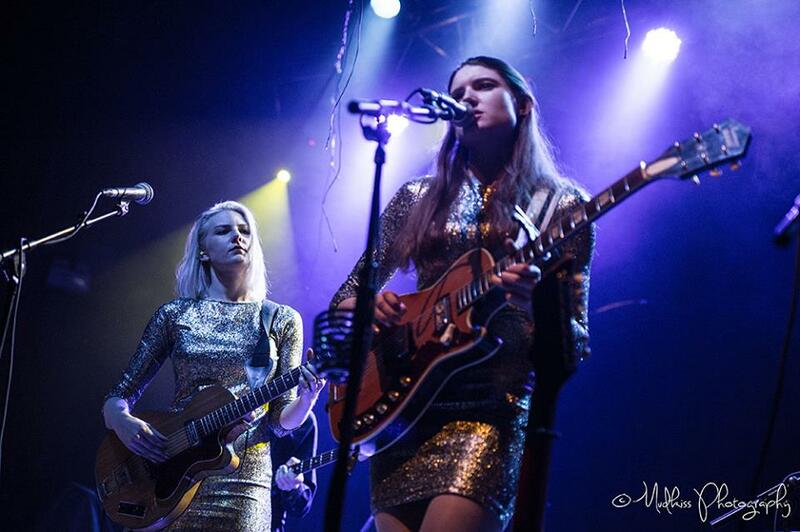 I put to Katherine there’s even a Roxy Music feel to one Smoke Fairies track, Koto, maybe attributable to their time on the road with Bryan Ferry back in 2007 – a support slot even pre-dating their first single. Because of the close harmonies, bands like Crosby Stills, Nash and Young and more recent acts like Fleet Foxes also spring to mind. “That’s kind of where it started for us, with those kinds of bands, but we’re really influenced by a lot of modern music now. “When we’re on the tour bus, Neil (Walsh) plays us the most eclectic cacophony of crazy songs you can cobble together. “When I come off tour I feel really inspired because I’ve heard everybody’s collections. We tend to bounce off each other a lot. While we’re talking influences, I mention a few more, from The Pretenders through to PJ Harvey, from Garbage to Portishead, even Kate Bush and Tori Amos through to Goldfrapp. Any of those resonate with Katherine? 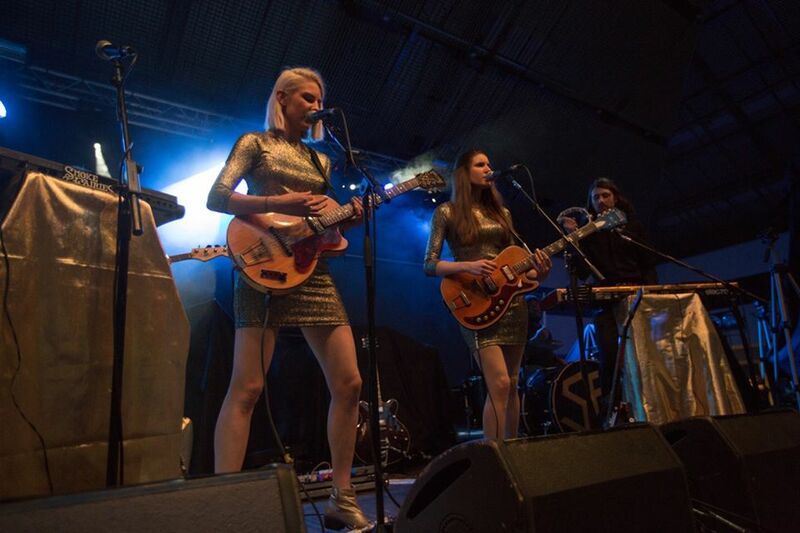 Maybe Smoke Fairies even have the potential to be more commercial than Polly Harvey, with true crossover potential. “I think we have become more commercial, and it’s become something we desire in an artistic sense. “I’ve started to appreciate the way pop music works and guess I’m interested in the formula behind things a lot more than I used to be. “Even thinking in those terms when I started out was a sacrilege. I’d listen to obscure blues musicians, and while they’re playing to a formula too, I liked people like Skip James who didn’t stuck to 12-bar blues. I had heard rumours about Katherine sat on the tour bus secretly listening to pop music. I mention one more potential influence, Wendy and Lisa, the duo that sang with Prince before branching out on their own, another band that flirted with commercial success (and also with a Neil Finn link). Katherine admitted that the LA duo, Ms Melvoin and Ms Coleman, had missed her radar so far, but promised to get back to me on that. Besides, by then she’d reached a new stopping point on her walk, and felt the need to share the love for the location she’d discovered, the derelict 13th-century Thomas a Becket Church. “It’s incredible. It’s a really old empty church without a roof, with all the gravestones flattened out. It’s all really quite strange. I’m glad it’s sunny! She speaks from experience too, her band putting on a small tour of English churches and halls in late 2013, one show recorded at St Pancras Old Church. Moving back on track though, what can those who didn’t get along to the PSB tour expect if they are to catch Smoke Fairies this year? “We’ve really developed a strong psychedelic edge to what we’re doing, with really heavy moments. “People sometimes expect to see an acoustic duo with a more folky edge, but we’ve uncontrollably become a rock band! “There are five of us in the band, and we make quite a lot of noise. We’ve played with the other three for a while, with Neil (Walsh) our longest-serving member. “He’s our multi-instrumentalist. He used to play viola in our band and now just plays everything! He’s been with us right from the beginning, when it was just us and him. For all the perceived glamour of a musical career and earlier tours with Bryan Ferry, Richard Hawley – who called them ‘frankly the best thing I have heard in years’ – and in the US with Laura Marling, they were still sharing a house in Peckham and temping around London. And apparently they still are – despite more and more attention with each album. “We still have to support ourselves, working in different places. At the moment I’m working at the headquarters of a perfume company. “I was working with the Guinness Book of World Records before, and they were given this award for the most expensive perfume in the world to this company. “Back then, I was in charge of the printer, so printed out lots of records. I was even going to give myself an award for the world’s best temp/musician. “I don’t see it as a bad thing though. A lot of musicians have to do this. Things have changed a lot and in a way it keeps you balanced and connected. “There was a time when musicians stepped out on to a stage and truly felt like something different to normal life. Now we’re straddled between two worlds. “It’s like you put on your stage clothes and become a different person – and there’s something quite liberating about that. “We pass through so many working environments and for me it’s always temporary and always will be, and I can’t change that. 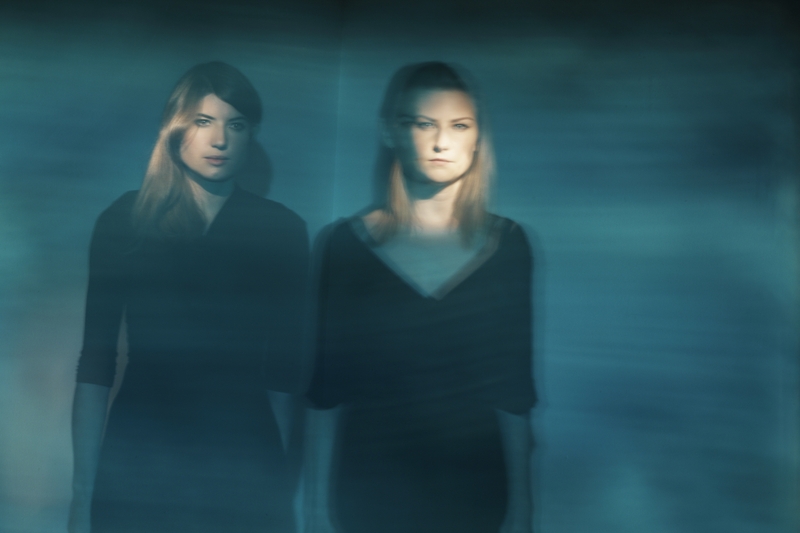 That may be the case, but surely Katherine and Jessica must occasionally feel the need to tell everyone they were the first UK act to release a single on Jack White’s Third Man Records label, the White Stripes legend also playing guitar and drums on that release. 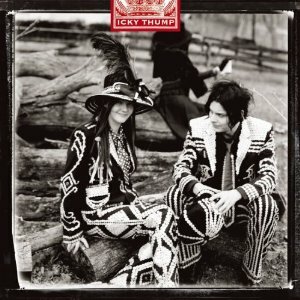 That was in 2009, so I’m guessing he’d moved on from his Icky Thump pearly king era by then. That sounds like a whole different story. There must have been many of those big moments along the way. Going further back though, was it initially awkward in that school music room when they first sang to each other? “There wasn’t really any awkwardness. We just immediately started singing and decided we were the best thing ever! All these years on, and after two albums in 2014, I should ask when the next one’s coming. And after their last release, Wild Winter, will this one be a bit more of an upbeat light nights feel? “I hope so. I think we want to take it in that direction a bit more. I feel like we’ve never really captured our live sound properly. “I guess restraint and control have always been important elements of our music, but learning when to control and when to let loose is just as important. And in case you missed the writewyattuk take on Smoke Fairies’ support slot with Public Service Broadcasting at Manchester The Ritz, here’s a link. This entry was posted in Books Films, TV & Radio, Music and tagged Bryan Ferry, Chichester, Hebden Bridge Trades Club, Heptonstall, Jack White, Jessica Davies, Katherine Blamire, Laura Marling, London, PJ Harvey, Richard Hawley, Smoke Fairies, Sylvia plath, Valentina. Bookmark the permalink.